Infrared data provides temperature information and the highest, coldest cloud tops in tropical cyclones indicate where the strongest storms are located. 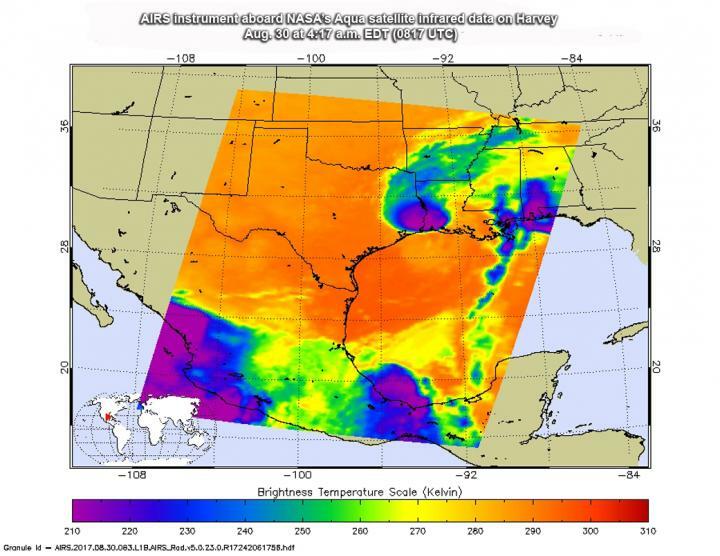 NASA's AIRS instrument provides that critical temperature information and captured an image of Harvey within the hour of its landfall in southwestern Louisiana. Harvey made landfall just west of Cameron, Louisiana at 4 a.m. CDT, Aug. 30.